Since it's Labor Day and we're all probably out BBQing, let's "taco" bout what I have been eating lately. (I couldn't resist the pun!) 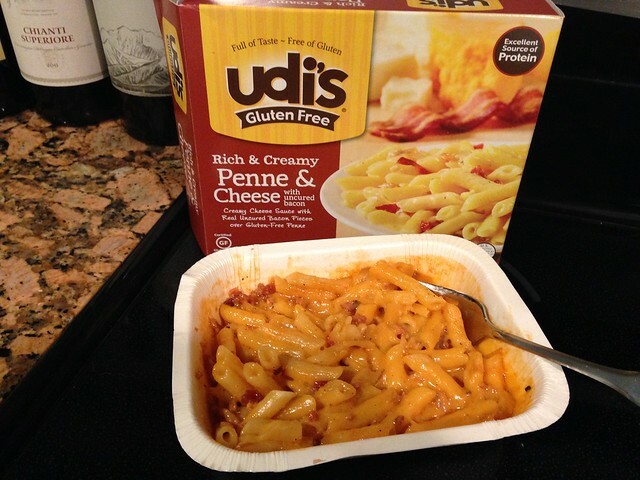 My two go-to meals are nachos and gluten free mac and cheese from the freezer section (though I still love some Annie's GF easy mac). As I explained in this post, I've decided to try all the different types of gluten free mac and cheese my local safeway decides to stock. 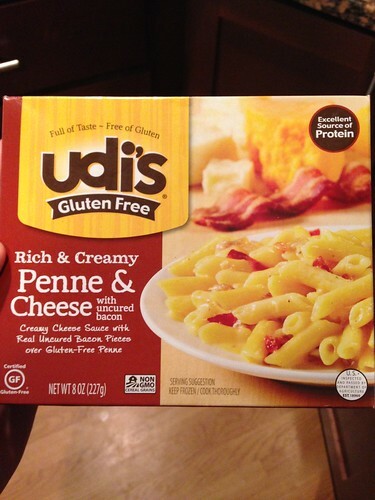 So I thought I'd share my review the Udi's one too! So sit back, and let's talk food! 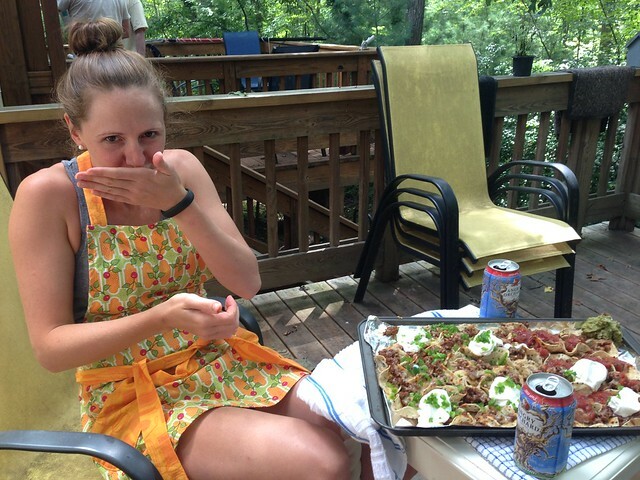 I suggest nachos for a meal at least once a week. 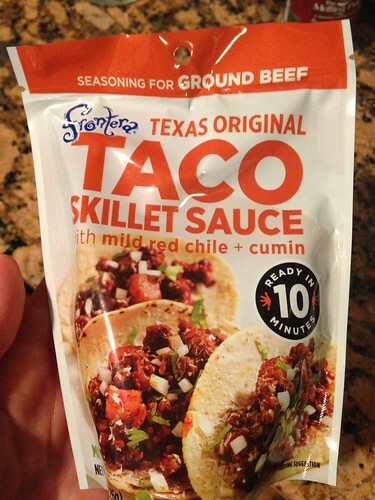 It's my comfort food after a run and the Fontera Taco packet has me hooked! Reid and I have had nachos for a lot of our favorite holiday dates, including St. Patrick's day - guacamole is green after all! Sometimes we go all out with tons of different salsas and toppings, and sometimes, like pictured above, we go simple with just sour cream, jalapenos, and salsa. But out nacho "base" is always the same - chips, beef, re-fried beans, and mexican blend cheese. 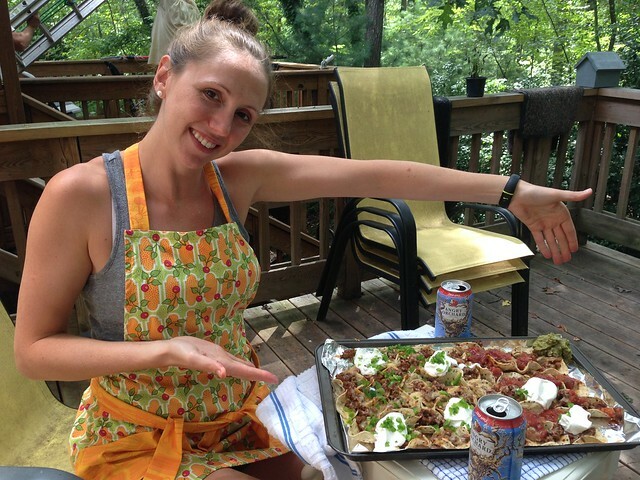 You know I'm working on finding the healthiest versions of everything, so here's the run down of the brands I have been buying for my "nacho average nachos!" salsa - whatever is on sale! Now let's chat Mac and Cheese! How about I just say "yes please!" and call it my review! This mac and cheese with BACON is amazing! 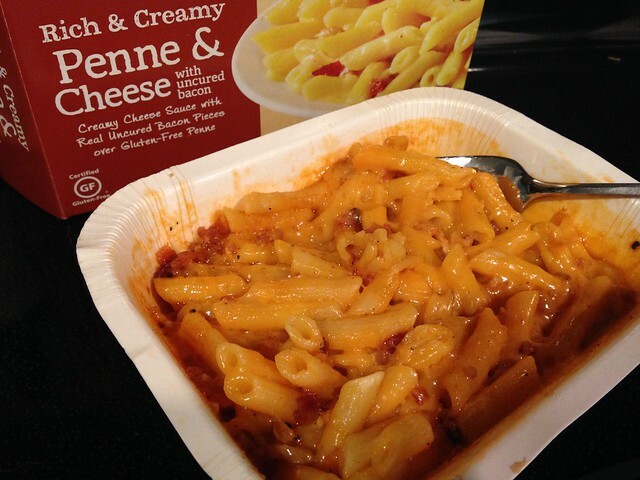 It totally hits all the right freezer mac and cheese points for me. It's easy, tastes great, texture is on point, the cheese gets a little crispy around the edges, and it's in a paper dish! And then it has bacon in it... what more could you want from a mac and cheese you can make in 5 minutes. So that's what I have been eating lately! So leave me a comment and tell me all about your "go to" favorite meals?